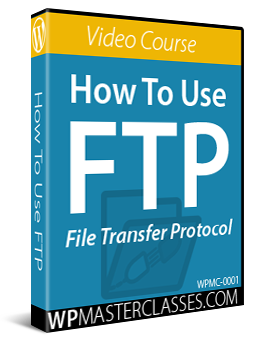 Are familiar with tasks like registering a domain name, setting up web hosting, using cPanel, transferring files via FTP, etc. If you want to skip all of the above, this Quick WordPress Installation Guide will help you install and set up a website with WordPress quickly and easily. For example, you may already have an existing website hosted on another web platform (e.g. Drupal, Joomla, etc.) and have decided to migrate over to the WordPress platform and just need an overview of the steps involved. If you are an absolute beginner and would like comprehensive, step-by-step tutorials that take you through the entire WordPress installation process with detailed instructions and hundreds of screenshots and show you exactly what to do every step of the way, then we recommend clicking on the links throughout the content below. 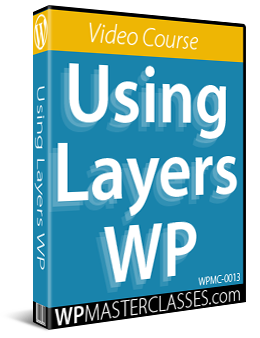 You will be taken to additional tutorials in our WordPress Installation and WordPress Configuration tutorials. Congratulations … Your New Website Is Ready! A domain name allows you to have your own web address (e.g. “yourbusinessname.com”) and a web hosting account is where you host your website files and allow users online to connect with your website. A domain name costs around $10-$12 per year and you can get web hosting for as low as a few dollars per month. 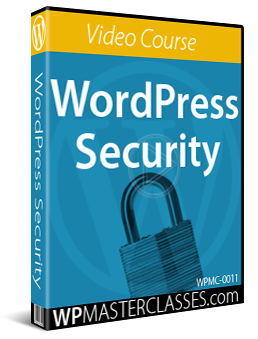 WordPress is 100% free and so are our free WordPress tutorials, so you can build your website for minimal cost and save thousands of dollars on web development costs. We recommend installing WordPress on your own domain (learn why we recommend installing the self-hosted version of WordPress here), so the first step is to register a domain name and set up your web hosting account. When purchasing a domain name for your WordPress site, you can use any domain registrar you like. We use and recommend GoDaddy.com. 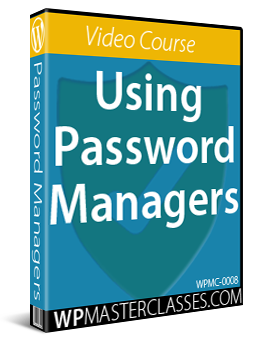 Their domain name management console is excellent and allows you to do things like set up nameservers quickly and easily. For web hosting, you should compare different services and plans and then choose the web hosting provider that best suits your needs (e.g. shared vs dedicated hosting or managed WordPress hosting) and budget. We recommend choosing a hosting service that offers cPanel. 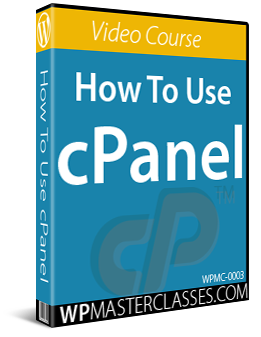 Having access to cPanel makes installing WordPress and managing your web hosting account easy. HostGator is one of the world’s most popular web hosting companies providing unmetered, reliable bandwidth and disk space for unlimited domains. LiquidWeb is a premier web hosting provider specializing in managed dedicated servers, dedicated server hosting, VPS, shared web hosting and heroic support. WPEngine offers robust and world-class infrastructure options for a variety of customer needs. We personally use LiquidWeb and host all of our websites on a dedicated server. We have been customers of LiquidWeb for many years and we love their service and “heroic” support. We have also helped many businesses with smaller budgets set up their sites on HostGator and we recommend using their hosting services if you don’t mind setting up your website on a shared web hosting account. For a superior managed WordPress webhosting service, we recommend looking at WPEngine plans. If you decide to host with BlueHost, you will get excellent service and support and they’ll even throw in a domain name for free! Locate the “Scripts Installation” section. Inside this section, you should see a “1-click WordPress installation” button. Configure the “1-click WordPress installation” settings using the scripts’ setup wizard. You will be asked to enter details like installation directory, site title, site description, email account, etc. Click the button to automatically install WordPress on your domain. After a few seconds, WordPress will be installed on your domain. 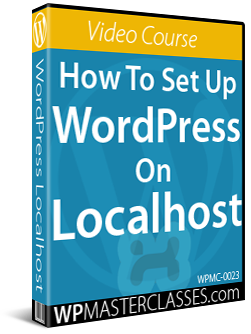 You can then log into your WordPress dashboard and begin configuring WordPress settings for your new website or blog. 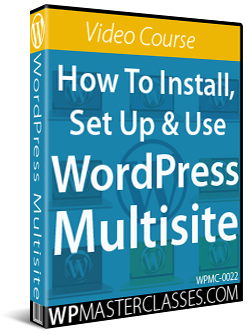 If your 1-click WordPress installation fails, see this tutorial to install WordPress manually. After logging into your brand new WordPress installation, you will want to configure and tweak your settings to make your website your own. 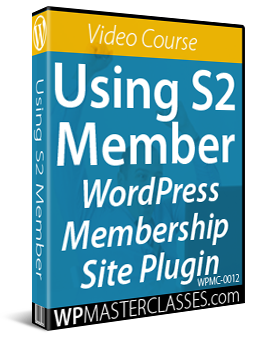 Setting up additional website management services and tools that integrate seamlessly with the WordPress settings you have configured and the plugins you have installed. A WordPress website works right “out of the box” and allows you to get started immediately after installation. However, if what you are really looking for are “results” and not just a website, then the secret to success with WordPress is knowing how to expertly configure your site. At WPCompendium.org, we have developed a number of “blueprints” that you can use to build, grow, and manage a successful digital presence on your own … all 100% free to access and use! WordPress Digital Business Blueprint – Use this blueprint to help you develop a cost-effective online business strategy. We provide a flowchart that shows you how to save thousands of dollars in web development costs using WordPress. WordPress Traffic Automation Blueprint – We have documented the entire step-by-step process we use to build expertly configured WordPress sites that will instantly notify search engines and automatically begin to drive traffic to your website as soon as you publish new content. Many professional web developers will charge you hundreds to thousands of dollars to build you a website, yet they will not expertly configure your site to deliver you these results. 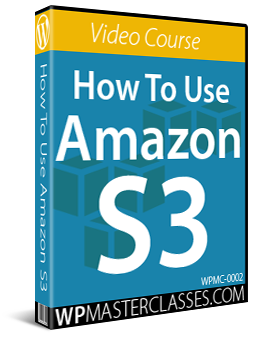 Our tutorials show you step-by-step how to create WordPress sites that deliver instant search engine indexing and automatic traffic generation, starting from this module. Infinite Web Content Creation – Without a content marketing strategy and great content to attract visitors to your site, your website will just float around lost in the vastness of cyberspace like a ghost ship. We have developed a comprehensive 120-part content creation email course that you can plug into (again, 100% free!) to learn how to create and publish great content that will help you gain more exposure online, drive targeted visitors to your site, build authority, reputation, and credibility for your business and put you ahead of the competition. As well as the above blueprints, we’ve also designed each of our WordPress training modules and the hundreds of tutorials included in these modules to take you step-by-step through the entire process of expertly building, configuring, using, managing, and growing your website. Start simply, expand as you need, and tweak your site as much as you want. We’ll help you every step of the way. Now that your WordPress site is installed and configured, it’s time to start looking outwardly. You want a professional-looking website that will make a great first impression on your visitors. You can easily do this using WordPress Themes. As mentioned in the last step, WordPress works right out of the box. This includes the default free theme that comes with every WordPress installation. In fact, WPCompendium.org is using the default WordPress installation theme right now! We’ve decided to use the default WordPress theme on this site to make the point that with WordPress, you can build a digital presence without spending money on web design. Of course, you don’t need to use the default theme. There are thousands of free and premium WordPress themes available. We recommend starting with a free WordPress theme, then upgrading to a “premium” WordPress theme once things actually start happening on your website (i.e. you are getting regular visitors and have actual market data to work with). Once you have decided on a theme for your new website, all that’s left is to create your web pages, add content for your visitors about your business, your products and services, etc. and launch! Hopefully, you have found our “Quick WordPress Installation Guide” useful. Follow the steps outlined above and you will have a professional WordPress site or blog for business or personal use up and running in no time that you can manage and grow on your own … without spending hundreds or thousands of dollars hiring outside experts! After launching your new website, feel free to come back often and go through our comprehensive library of step-by-step tutorials to learn how to use WordPress. Once you have mastered using WordPress, you will be in the driver’s seat of your online business and can take your digital presence wherever you want it to go. WPCompendium.org is 100% Free! 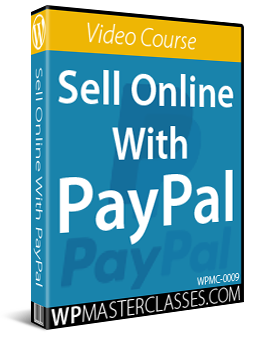 Use the tutorials yourself, or train your staff to help you manage your website and grow your business online. Even if you decide to outsource your website installation, configuration, and management to professionals, you can use the blueprints, checklists and the information on this website to make sure that the services you are paying for have been performed correctly. If you have found this guide useful, please feel free to share WPCompendium.org with other businesses and online users.